The meditation lasts one hour and has three stages. In the first two stages the eyes are open but not focused on anything in particular. In the third stage the eyes are closed. The meditation is over when you hear three gongs. 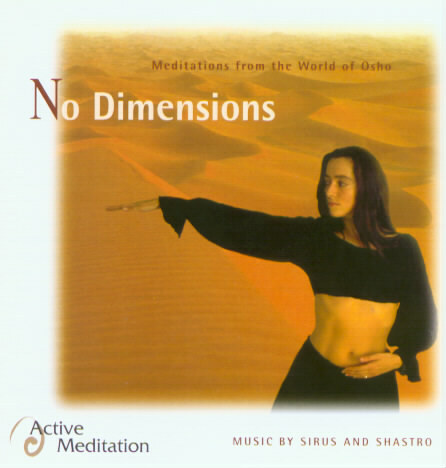 This active centering meditation is based on Sufi techniques, further developed and expanded by Osho. Using the breath and a series of coordinated body movements followed by whirling, your energy becomes centered in the hara, the “life energy” center below the navel. From there you can watch the mind and experience awareness and wholeness – the body moving in all directions, the center unmoving. This is a powerful method for centering one’s energy in the hara – the area just below the navel. It is based on a Sufi technique of movements for awareness and integration of the body. Because it is a Sufi meditation, it is free and non-serious. The meditation lasts one hour and has three stages. In the first two stages the eyes are open but not focused on anything in particular. In the third stage the eyes are closed. The meditation is over when you hear three gongs. The music supports the energy and activity described in each stage of the meditation, and also signals the timing of each stage. 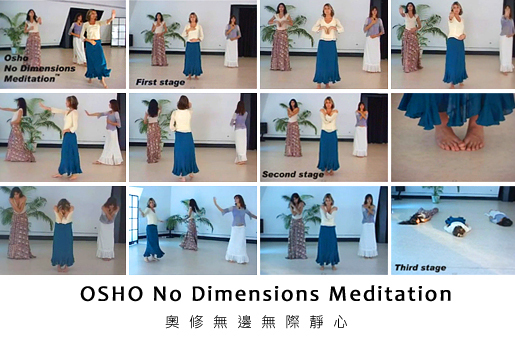 A silent stage is part of most Osho Active Meditations, and when the meditation ends with silence it will be concluded with a bell or gong. This is a powerful method for centering one’s energy in the hara – the area just below the navel. It is based on a Sufi technique of movements for awareness and integration of the body. Because it is a Sufi meditation, it is free and non-serious. In fact it is so non-serious that you can even smile while you are doing it. Come, experience the bliss Meditation.